Before the war, Fritz Haber, a German chemist, discovered how to synthesize ammonia by extracting nitrogen from the air. This enabled the large-scale production of nitrogen-based fertilizers at a time when agricultural crops were struggling to keep up with world population. The process also enabled the production of the massive amounts of explosives Europe would soon require. Haber pledged his absolute support of the German military at the start of the Great War and was made head of the Ministry of War's Chemistry Section, where he lead the weaponization of chlorine and other deadly gases. Promoted to captain, he personally directed the first release of 168 tons of chlorine gas from 5,730 cylinders in the Second Battle of Ypres in 1915. 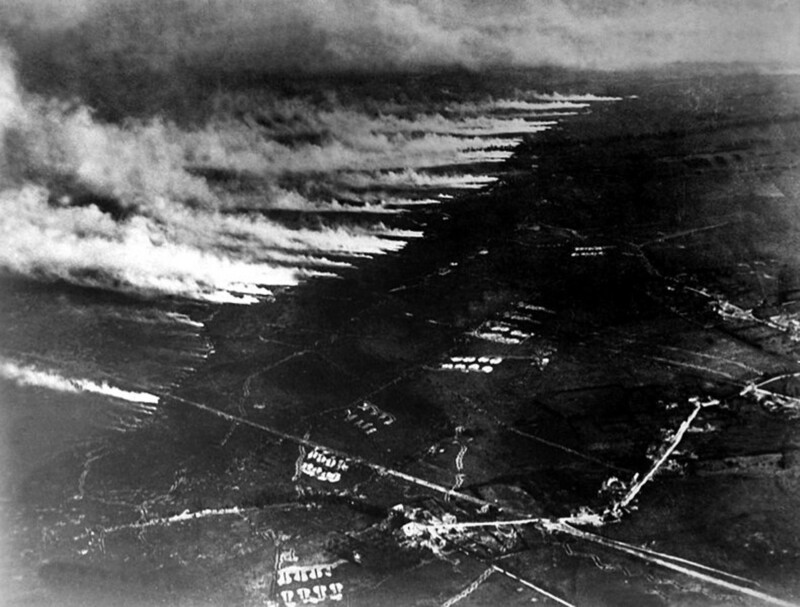 Thousands of Allied troops were smothered as the poisonous green clouds drifted over their trenches. A few days later, Haber's wife committed suicide, reportedly depressed by her husband's role in the attack. The day after her death, Haber left to supervise a poison gas attack on the Eastern Front. 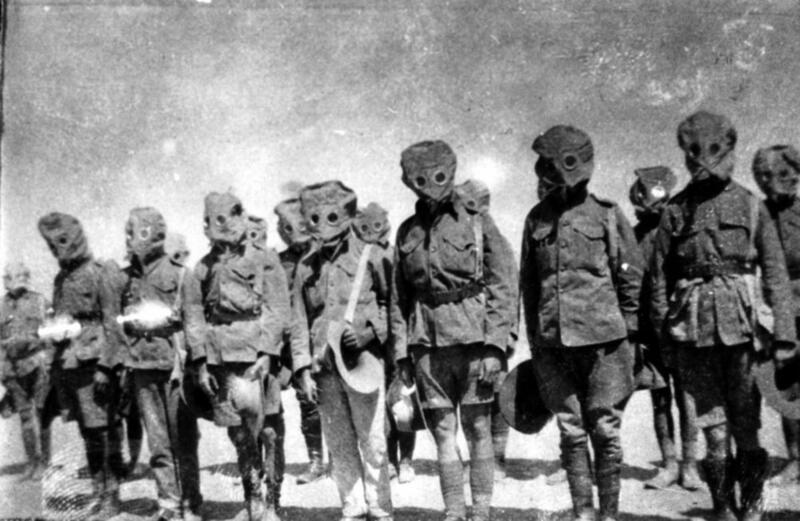 Soon, both sides were using gas warfare, eventually maiming or killing more than a million soldiers. 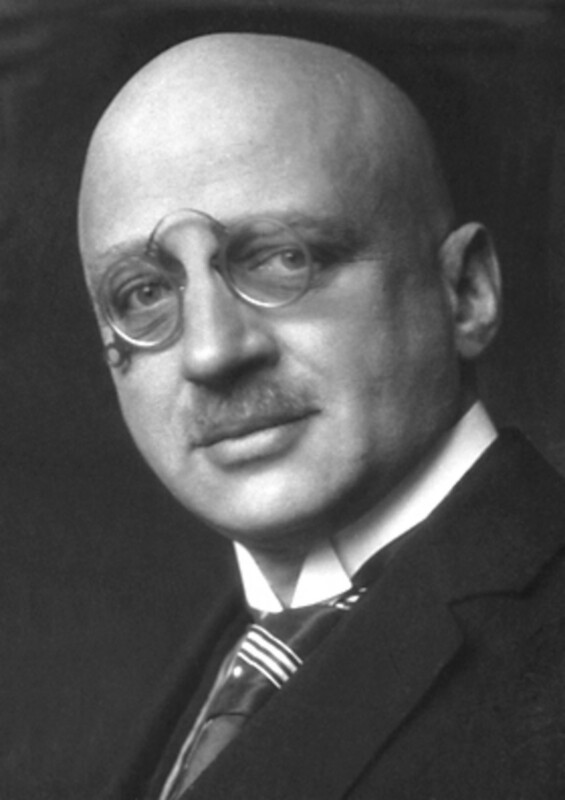 In 1919, Fritz Haber was presented with the Nobel Prize in Chemistry for his earlier synthesis of ammonia, resulting in cheap, plentiful fertilizers and “saving billions from starvation”. 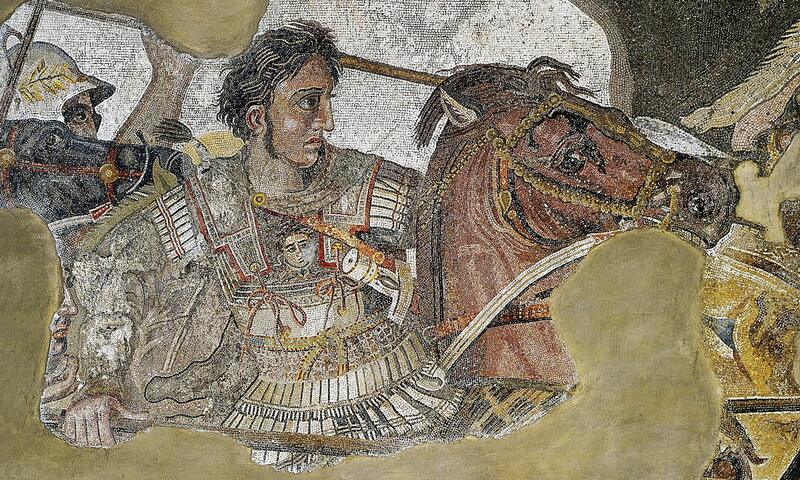 No mention of its military application or his later role in the war was mentioned. The choice of the father of chemical warfare remains controversial to this day. Haber's absolute dedication to his country would be spurned when the Nazi's came to power for the simple fact that he'd been born a Jew. Despite converting to Lutheranism when young and despite his achievements and wartime service, he found himself exiled. He died in a hotel in Switzerland in 1934. Ironically, some of his relatives would later die being gassed by Zyklon B-- an improvement over Zyklon A, which Haber's scientists had developed in the 1920s. 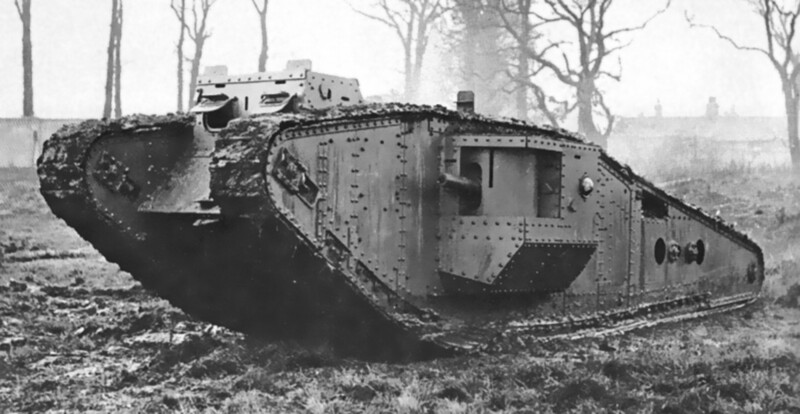 In 1916, during the Battle of the Somme, the British first unleashed their secret weapon: 32 clanking steel monsters called “tanks” (so German intelligence would think their intercepts were referring to “water tanks”). Armored and bristling with machine-guns and cannons, the lumbering machines ground across No Man's Land, striking terror into the defending Germans. War, however, has a way of finding an equilibrium. The generals had not really figured out the best way to use their new weapons and so thought they could be used like heavily armored cavalry to break through the stalemate of the trenches. Unfortunately, these early tanks frequently broke down at inconvenient times and were agonizingly slow. The Germans soon figured out that artillery was very effective against them as they crawled over the battlefield and that even special anti-tank bullets could penetrate their thin armor. 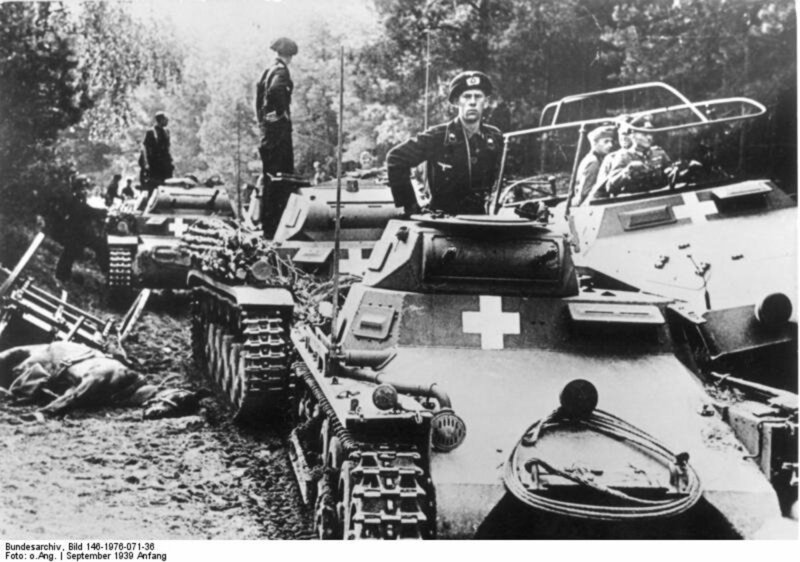 Lagging far behind in tank technology, they concentrated on developing countermeasures instead. That is not to say the Germans did not use any tanks. 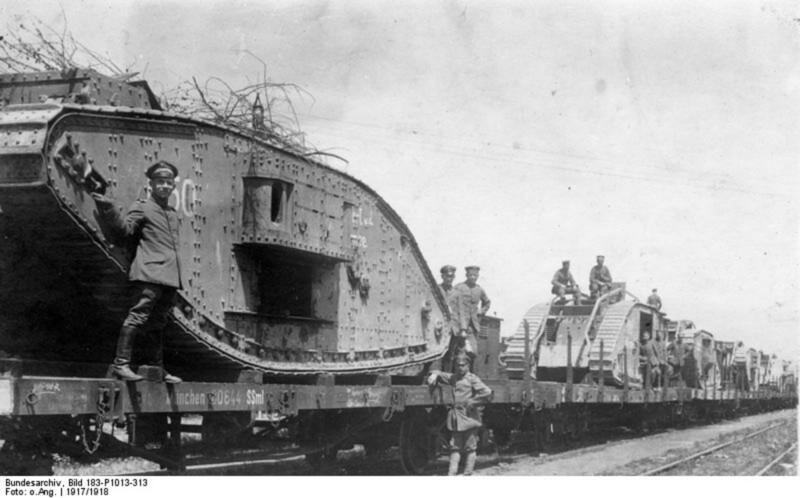 They retrieved captured or damaged Allied tanks from the field, shipped them to the rear to be repaired and repainted and used them against their former owners. 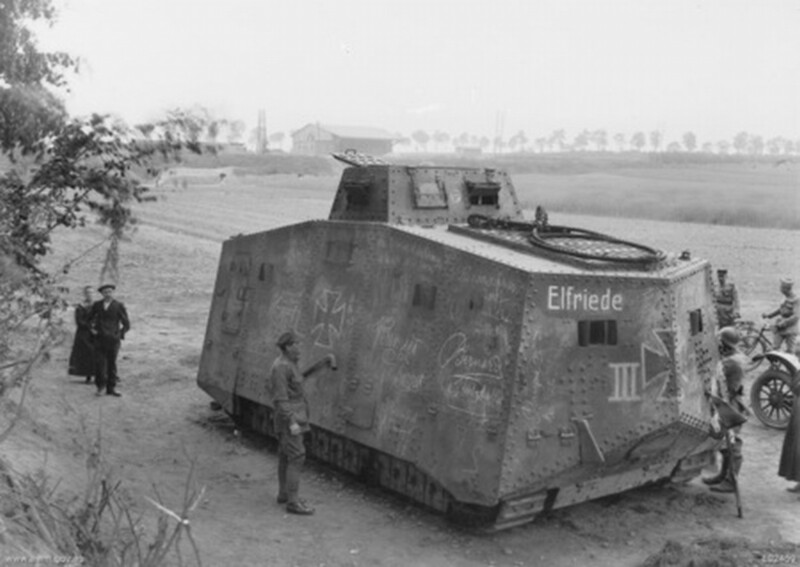 The Germans did eventually develop and use their own tank. 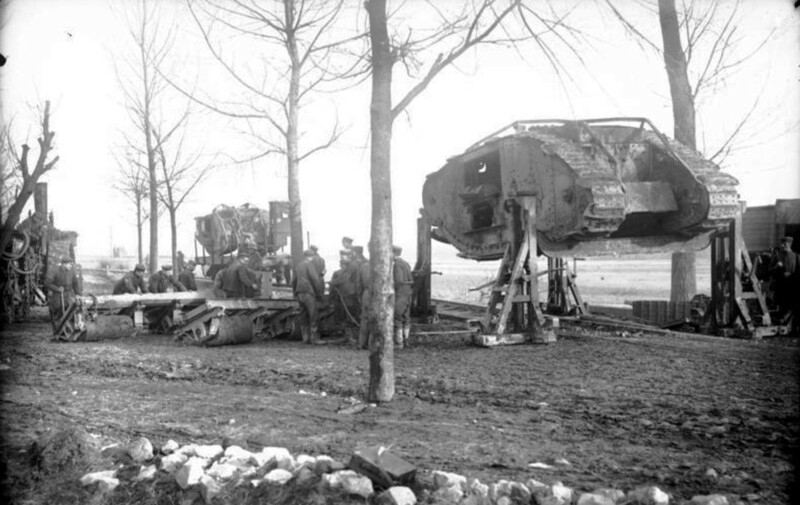 The A7V was a 32 ton box on caterpillar tracks, bristling with six machine guns and a 57 mm cannon and crewed by 18 men. But while the French and British produced a total of nearly 7,000 tanks during the war, the Germans produced exactly 20 A7Vs. It wouldn't be until the next war that German tanks (and tank tactics) would come into their own. No, Sir Arthur Conan Doyle's fictional super-sleuth and his physician side-kick did not solve cases during the Great War (though who knows what the future holds-- Hollywood brought them to World War 2 and television has them confounding present-day villains). While Holmes and Watson have been played many times by many actors, perhaps Basil Rathbone and Nigel Bruce are the most iconic, appearing in fourteen movies together. Another thing the two actors shared was that they both served in the trenches. 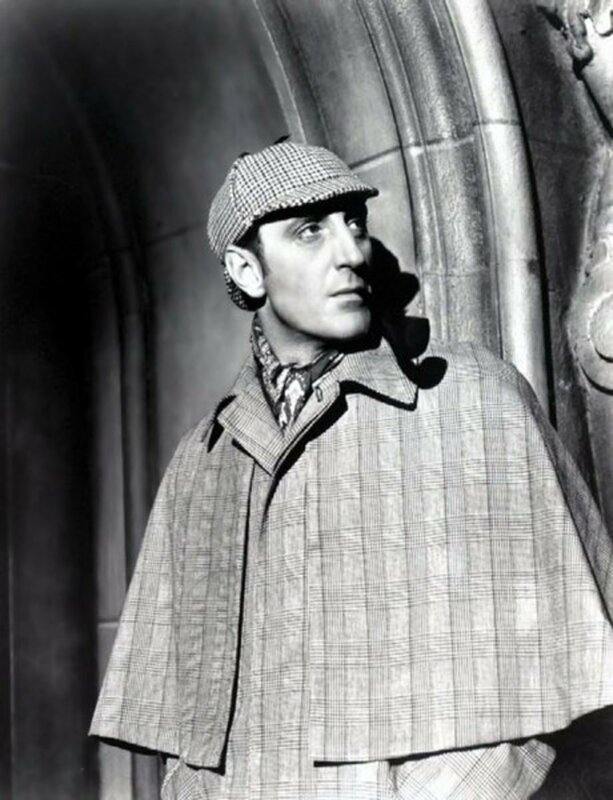 Twenty-three-year-old Basil Rathbone (1892 – 1967), who would later portray Sherlock Holmes, enlisted in 1915 as a private and by 1916 was an intelligence officer. In May, 1917 he was posted to the trenches where he eventually led night patrols into No Man's Land to gather intelligence. About the time he heard that his younger brother John had been killed in action, Rathbone requested to lead daytime patrols, which, while much more dangerous, would yield more information. He and his men wore camouflage suits resembling trees and would spend hours slowly crawling toward the enemy lines since, as he observed, even if the Germans only saw a tree, they would certainly shoot a moving tree. On one occasion, he crawled into a trench and was surprised by a German soldier who he shot dead with his pistol. For his daylight patrols, Basil Rathbone earned the Military Cross. 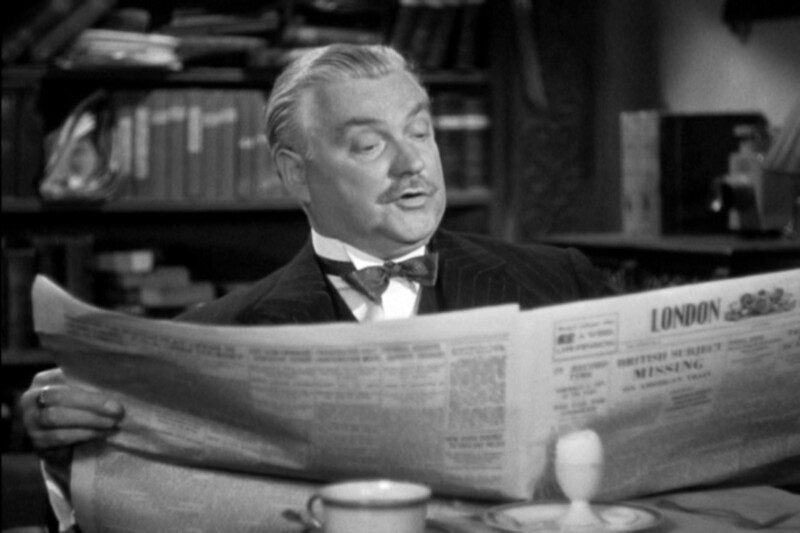 In 1914, nineteen-year-old Nigel Bruce (1895 – 1953), who would later portray the bumbling Dr. Watson, went to France with the Honourable Artillery Company. Attaining the rank of lieutenant, he was severely wounded in 1915 when he was machine-gunned. He took eleven bullets in his left leg. Recovery was slow and Bruce spent most of the rest of the war in a wheelchair. Decades later he would still undergo surgery on his bad leg. When the Great War started in 1914, there were just under 850 crude, front-line military aircraft available to all the belligerents (with 244 aircraft, Russia had the most). 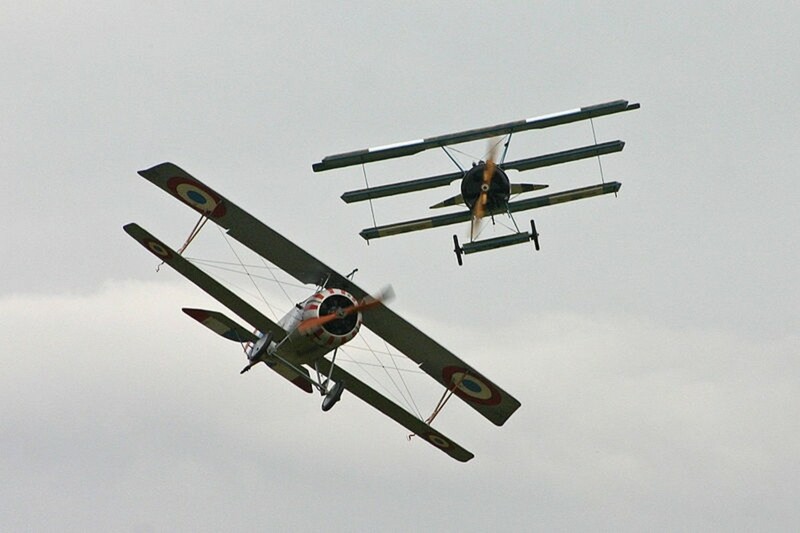 By the time the fighting ended in 1918, a total of about 220,000 aircraft had been produced by both sides. France alone had produced 68,000 aircraft during the four and a half years of war and lost more than 52,500 of them. Britain produced more than 58,000 aircraft and lost 36,000. The combined British and French aircraft losses were 88,500. Germany produced 48,500 aircraft during the same period and lost 27,600, less than one third of her main adversaries in the air. * Losses include aircraft shot down, crashed or damaged. 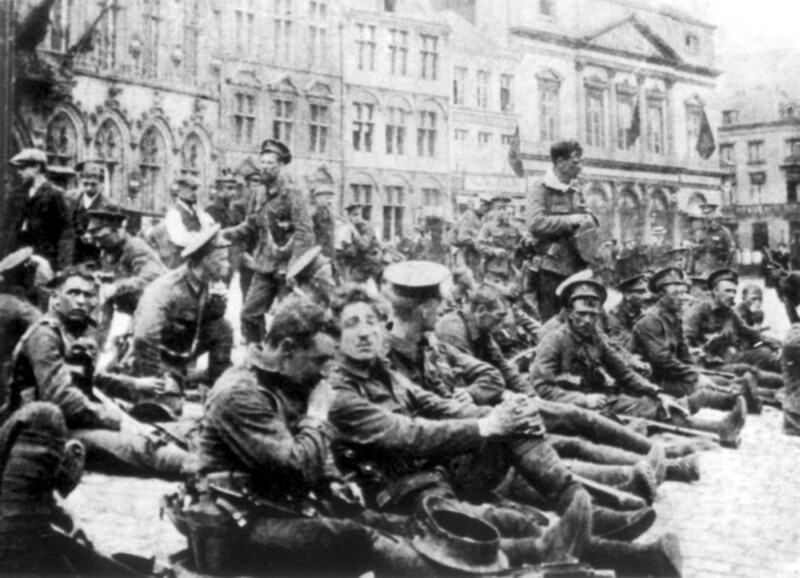 Both Private John Parr and Private George Ellison were part of the British Expeditionary Force (BEF) sent to France in August 1914. 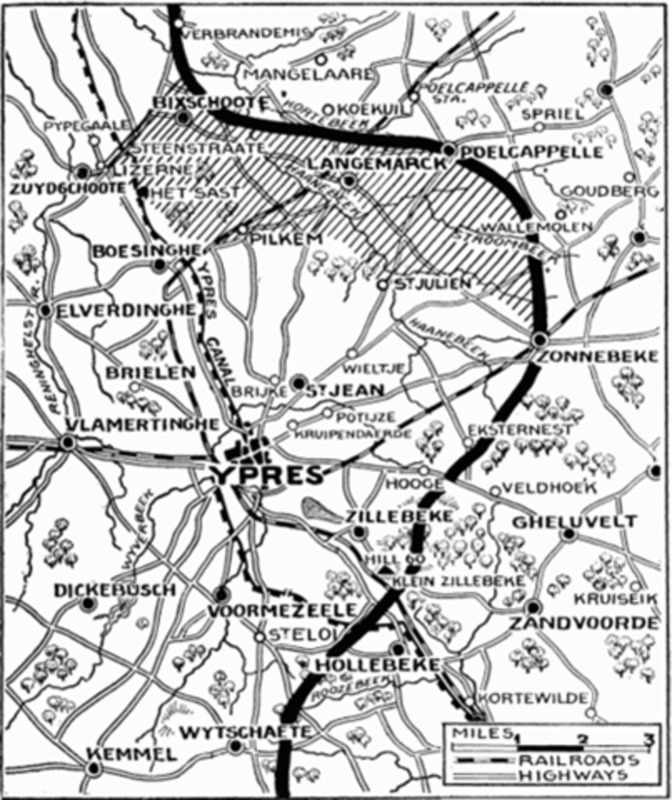 Although it is unlikely they ever met, their respective units were stationed near Mons, Belgium as the German First Army approached from the north. Private Parr, who had lied about his age and joined the Army in 1912 when he was 14, was a reconnaissance cyclist with orders to scout the enemy just northeast of Mons. 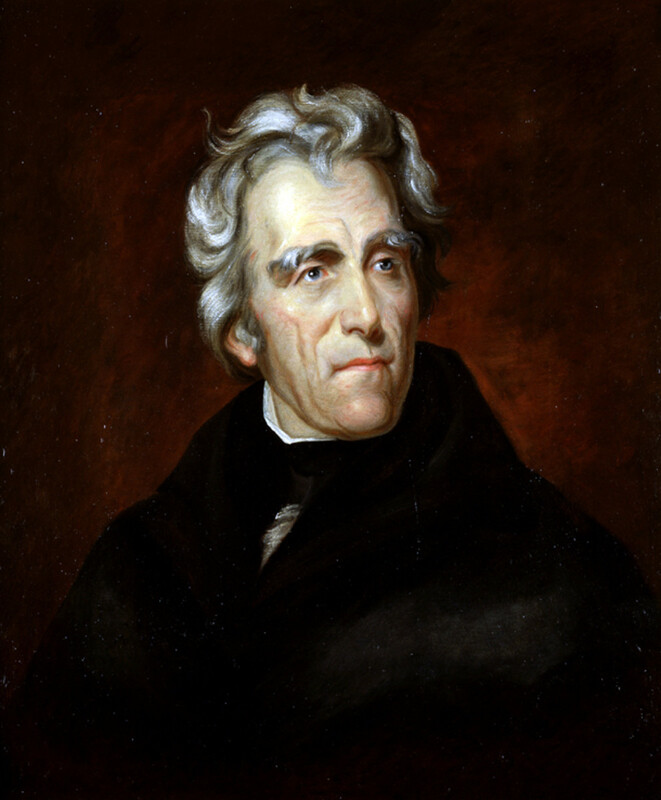 The last he was seen alive was August 21. He had just turned 17. Because the BEF would soon be engaged in a 250-mile fighting retreat, it wasn't until much later that it was determined that Parr had not been captured but had died, either by friendly fire or a German advance cavalry patrol. Although the details of his death are still shrouded in mystery, John Parr is acknowledged as the first British soldier killed in action in the Great War. Private Ellison, who had left the army in 1912, was recalled in 1914 just before war broke out. During the next four-and-a-half years he survived the Battle of Mons, the Battle of Ypres, the Battle of Armentières, the Battle of La Bassée, the Battle of Lens, the Battle of Loos, the Battle of Cambrai and other lesser engagements. Ellison was one of the few Old Contemptibles (original members of the BEF sent to France in 1914) alive the morning of Armistice Day, November 11, 1918. While on patrol near Mons, he was shot and killed 9:30 that morning, 90 minutes before the fighting stopped. He was 40 years old. 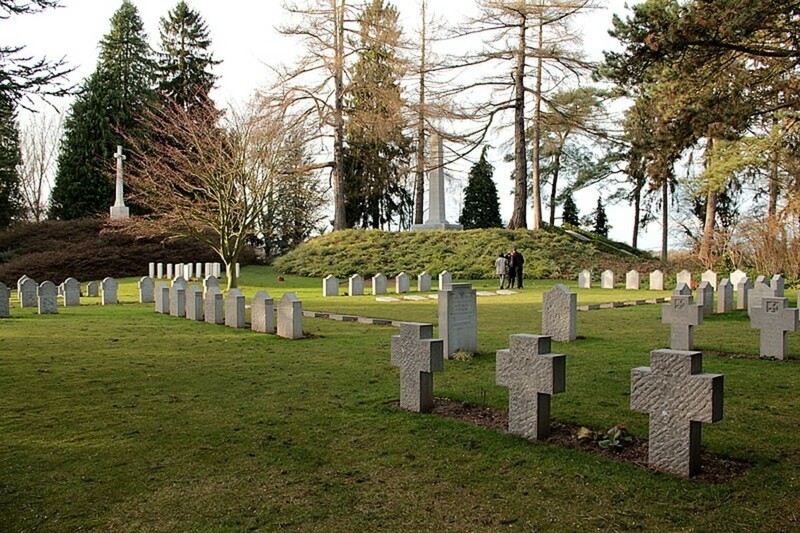 Both are buried at Saint Symphorien cemetery near Mons, but, since they were buried before their status was determined, it is a macabre coincidence that Parr's and Ellison's graves face each other, separated by a dozen yards. 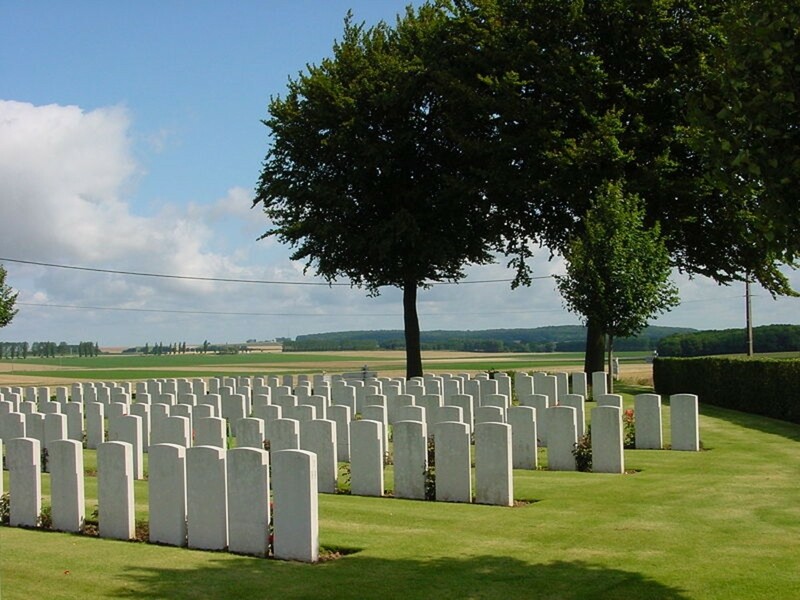 The symbolism is hard to ignore: after 4 1/2 years of slaughter and sacrifice, where 700,000 British and 200,000 Commonwealth soldiers were killed and 2,000,000 more were wounded, the British managed to get back to where they started. And the Allies were the victors. Who Killed Private John Parr? Thanks, Larry. If some bit of history interests me, I find it easier to research and write it-- maybe put it in a slightly different context. Always so interesting. You have a nose for the compelling. Sorry to hear your story, Jay. Yes, war keeps on destroying long after the bullets stop. Unfortunately there were billions to be made by trading with the belligerents and plenty of businesses took advantage of that. The British blockade squeezed German trade and it was only a matter of time before Germany used submarines to enforce their own blockade of Britain. US merchant ships paid the price. Thanks for commenting. Under aged soldiers being shot for desertion? My stepfather also joined the military under aged. He fought in Korea and suffered from Post Traumatic Stress Disorder (PTSD). My mother and I suffered from his physical abuse. Participation in war takes its toll even after the war ends. The lesson is to avoid war in the first place. Place your God/Ideal over country and do not fight at all. The USA did not have to get involved in WWI. One alternative was to cease shipping to Europe. Everything we needed was already here. Leave Europe to itself. Do not go beyond your boundaries. That is why they exist. Hi Graham. Every time I hear about "the greater good" done by people like Haber off-setting the horrors they also inflicted, I just say nothing could offset such involvement and activity. Haber did not deserve the Nobel Prize, despite his argument that soldiers die in war and it is irrelevant how they die. Thanks for commenting-- always glad to hear from you. aesta1, I envy your visits to those sites. It is hard to imagine what those soldiers endured. Every year hundreds of tons of dud artillery shells (many with chemicals leaking) are found in the "iron harvest" of WW1 battlefields in France and elsewhere. Thanks for commenting. Hi David. Another cracker from you here. As usual your detail is top notch as is your presentation. Haber deserved to die, his family not so. The Holmes and Watson story was great and unexpected. Tip top! These are really interesting. After visiting Arras, Verdun, Vimy and the other areas, I just could not comprehend the horrors the WWI soldiers went through. Eric and Emgee, thanks for your kind comments. I'm afraid in America WW1 is not widely studied. Personally, I feel most of the major events of the Twentieth Century are a consequence of WW1. Wow, Paula. I bet your brain was like a stuck record trying to process what had just happened (you remember those black disks that spun around?). Our son had been out of the army for a couple years when the First Gulf War started and he was living in Alaska. We received an official notice of travel orders that he had something like 48 hours to report in (he would need to show the travel orders to the airlines for tickets). When I contacted the army saying he didn't live with us and they needed to send the orders to him in Alaska, Major Dufus (not his real name), in his best "surly officer being bugged by a mere civilian" voice said that if he didn't physically appear in 48 hours he'd be arrested. I thought I was in a sitcom. We called our son and he said he'd take care of it. He straightened it out and the Army said they would send another set of travel orders to his Alaska address. Then they proceeded to completely forget him. So glad your son (and you) lived through his "adventure" and I'm glad you didn't kill him for putting you through that. What a thrilling post with all this exciting information. WW I has not got the same importance as WWII, so these tales are doubly exciting. Yes....I know a lot of young men lied about their age years ago to enlist. Seems so strange because certainly now-a-days one must show proof of their age. A lot fewer men (and maybe women) are so desperate to join anymore that they would do this. Back during WWI & possibly WWII, the Military was looked at as a huge opportunity or a way to a better existence than what they may have had at that time in life. Out of 4 sons, one got scooped up by the U.S. Marine recruiter. One morning a man in uniform came to the door and asked for my son. My son grabbed his jacket and said, "Oh yeah Mom, I meant to tell you, I joined the Marines." !!!! I think I stood holding the door with my mouth open for at least 10 minutes after they'd pulled out of the driveway! He was taking my child to be sworn in! Yes, he was in Iraq at the very start of that war, "Operation Iraqi Freedom." Thanks so much, Paula. Your comments are really appreciated. Glad you liked it. It seems a lot of underage teens were able to join up by lying about their age. Officially you had to be 18 to enlist and 19 before being shipped overseas to fight. Despite this, about 250,000 underage soldiers managed to join up. One young soldier who had joined up when he was 16 was later court-martialed for desertion even though it had been established he was only 17 at the time. He was shot at dawn. David.....You could have written just about anything at all and it would have been "obscure" to me! But here I am ready & willing to learn. 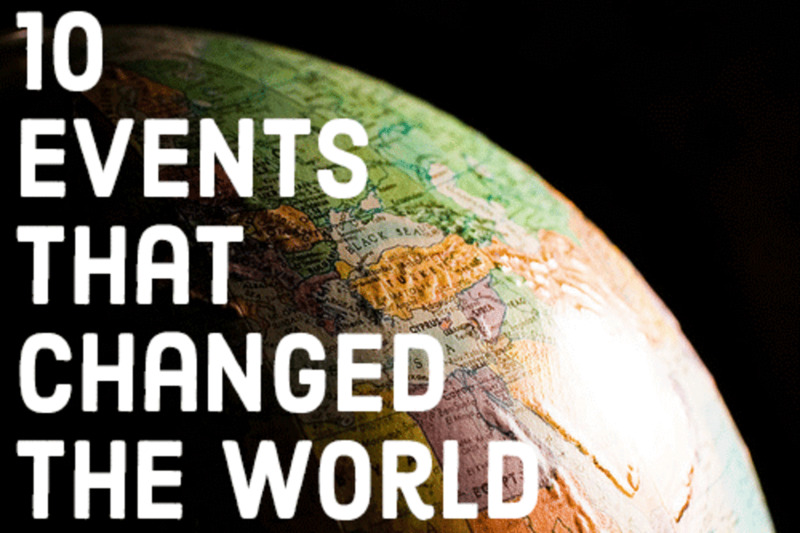 You certainly meet your objective of making history readable & interesting! I have so much catching up to do, I'll be reading forever. It's very interesting to me that the 2 actors whose characters played Holmes & Watson later on had both fought in the war. It's also impressive that Rathbone was promoted from Pvt. to Intelligence Officer in one year's time. Bruce was darn lucky his leg was saved having taken so many bullets that many years ago! Parr being 14 is crazy! He was just a BABY for heaven's sake. (I'm sure I sound like a mother) The fact is, it's no secret men were made much tougher at much younger ages so long ago.....harder lives and tougher times.